Sound like the impossible? Well think again! Instead of buying a 1-carat diamond, try going for something with less weight, from .90 to.99. Prices seem to skyrocket at every whole carat so less brings more savings! Buy diamonds online. Like other online shopping ventures, it is significantly cheaper than buying from a jeweler. Diamonds with slight inclusions can save you thousands, as opposed to buying a flawless diamond. These flaws are almost always invisible to the naked eye, and only visible with magnification. Near-colorless diamonds aren’t all that different from their cousins in the colorless category to the naked eye but the price tag for them will be less likely to empty your wallet. When choosing metals, white gold and palladium fetch cheaper prices; palladium is also a great hypoallergenic choice. Choosing a 14 karat instead of 18 karat gold – get your ring setting for a cheaper price without sacrificing the quality. As for white gold, the lesser the pure gold content, the whiter the metal will look, the more durable it will be and the more affordable! Engage your inner coupon hunter – there are dozens of sites offering diamond and jewelry coupons and these can fetch you a nice discount. 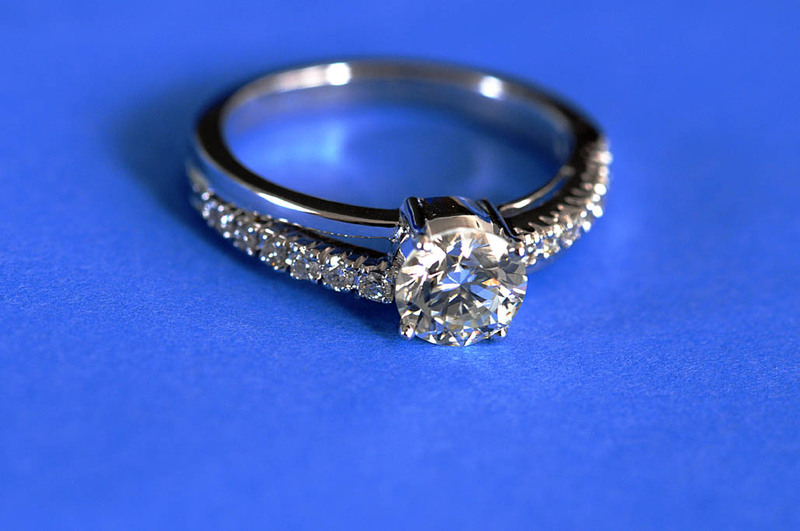 Buy a loose diamond separately from a ring setting. These are sold at lower rates, making it easier to compare diamond prices. Buying a diamond separately can be more affordable. The shape of cluster diamonds makes it look like one large stone, and smaller diamonds are cheaper than an actual large diamond.